A PRO-democracy and Non-Governmental organization- Human Rights Writers Association of Nigeria (HURIWA) has carpeted the defence spokesman Major General John Enenche for saying the military wouldn’t strike armed Fulani herdsmen because the conflicts between herdsmen and farmers are like two brothers fighting. Besides, the Rights Group has dismissed as unconstitutional and a complete illogicality the affirmation by the defence spokesman that the armed Fulani attacks across the country demands political solution, saying that the statement is the clearest sign of policy inconsistency of the current government to confront terrorism of armed Fulani herdsmen in compliance with the laws of the federation. The Rights Group has therefore advised the communities already affected by the mass killings and destruction of their farmlands and family members mauled to their untimely deaths by armed Fulani terrorists to approach the international criminal court (ICC) to seek justice. The Rights group affirmed that under the Intenational Crimes Court Rome's statute, the global crimes court's in The Hague Netherlands jurisdiction can be activated if it is clear that the home government lacks political will to punish mass murderers. According to the group, because from the disclosure of the Defence spokesman it shows that government has compromised on protecting national security. "Armed Fulani herdsmen are the greatest threat to national security now". HURIWA in the statement jointly endorsed by the National Coordinator Comrade Emmanuel Onwubiko and the National Media Affairs Director Miss ZAINAB Yusuf, also advised the communities devastated by persistent armed Fulani attacks to take measures to compel National Assembly to compel President Buhari to crush armed Fulani herdsmen or be impeached for endangering National Security. Section 281(1) specifically provides thus: “the powers of the president as the Commander – in – Chief of The Armed Forces of the Federation shall include power to determine the operational use of the Armed Forces of the Federation”. But HURIWA said failure by President Buhari to crush armed Fulani herdsmen decisively amounted to a breach of his oath of office. HURIWA cited 218(1) of the constitution to argue that the Defence spokesman could not have stated that the military will not confront armed Fulani attackers without the authorization of the current Nigerian president just as the rights group reminded president Buhari that most Nigerians think that he is soft on armed Fulani herdsmen because they are his kinsmen. “As the president of Nigeria, Muhammadu Buhari has subscribed to the constitutional oath of office not to allow his private affairs to constitute a cog in the wheel of discharging his primary duty of providing security and welfare to all Nigerians. But the statement by the Defence Headquarters that the military will not use force to combat the raging terrorism of armed Fulani attacks is both unconstitutional and unacceptable ". 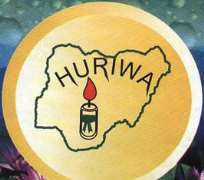 HURIWA recalled that the defence headquarters in Abuja reportedly offered explanation on why the Nigerian military cannot strike the Fulani herdsmen who have been having clashes with farmers at different parts of the country, stating that the clash is a case of two brothers having misunderstanding. The military high command however said the situation requires a political solution rather than use of force.